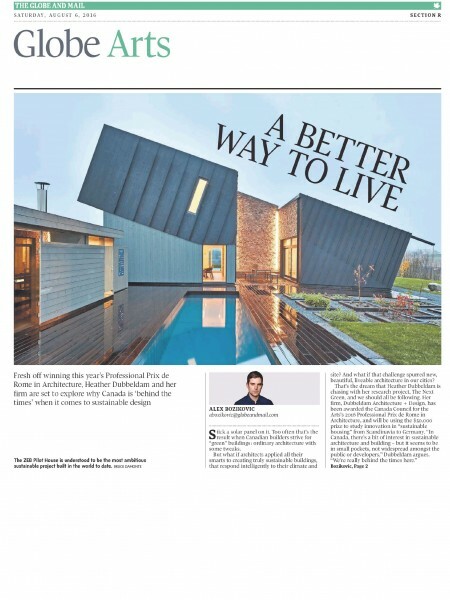 Research that began with our Prix de Rome proposal (and that will continue with our future travel) was featured in The Globe and Mail in an article by architecture critic Alex Bozikovic. Heather discussed current practices in Canadian sustainable architecture, and how these fall greatly behind standards in Scandinavia and Germany. We look forward to sharing more of our research as we embark on our travels.